In movies, flashers always have long trenchcoats and run around showing off their jiggly bits to everyone. 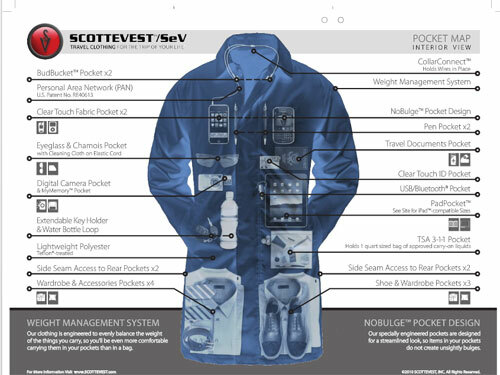 If that flasher were a geek that wanted to stay connected while flashing, he would need the new SCOTTEVEST Carry-On Coat. The new coat has a ton of pockets covering all sizes and appears to be the required trench coat length. 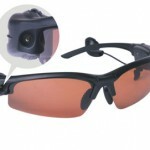 There are pockets for the iPad, the iPhone, MP3 players, water, keys and just about anything else you can think of. The weirdest pockets are the ones on bottom sized for your clothing and shoes to fit. I can only imagine the looks you would get going through security as you run it through the x-ray machine.